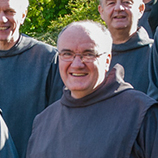 The Prior General governs the community with the help of his council, which is composed of the Master of Studies, Regional Vicars and one or more other members. 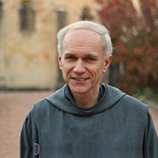 Brother Thomas is the current Prior General. The Prior General is the main superior of the Institute. He is elected by the general chapter for 6 years, after which his mandate may be renewed for 3 years. 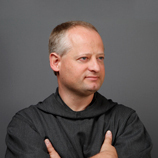 He is responsible for leading the community in faithfulness to its charism and in communion with the Church. He is assisted by the Vicar General. 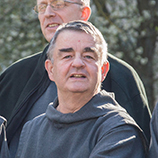 Brother Thomas has been a member of the Community of Saint John since 1988 (and a priest since 1995). He was prior and taught philosophy in Cameroon and then the USA, before being sent to Taiwan. 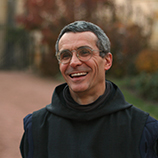 After spending three years as Vicar General of the community (residing in France), he was elected Prior General in April 2010. He holds a Doctorate in philosophy. 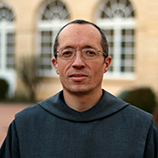 Brother François Frédéric is the Master of Studies. 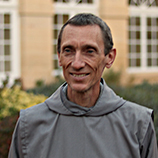 He entered the community in 1988 and was ordained a priest in 1995. He spent twelve years on mission in Africa (in Cameroon and the Côte d’Ivoire), where one of his main tasks was to teach philosophy. He holds a DEA (diplôme d’études approfondies, equivalent to a Master of Advanced Studies or M. Phil) in applied mathematics, a Doctorate in philosophy and a Masters in theology. 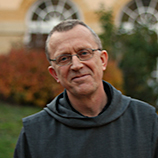 He was elected Master of Studies by the 2016 General Chapter. 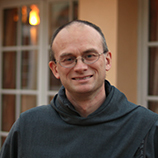 Brother François-Xavier is the Vicar General of the congregation. He assists the Prior General and represents him on various occasions. In particular, he is responsible, together with the Bursar General, for the community’s finances. What is the role of the superiors in the community? The role of the superiors is to ensure the proper functioning of the community, to promote its apostolic mission and to accompany the brothers, whilst respecting each brother’s internal forum and interior freedom. Upon whom does the community depend? 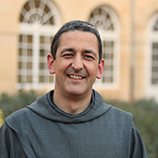 The Community of Saint John is an Institute of Diocesan Right and as such is under the authority of the Bishop of Autun, France, Mgr Benoît Rivière. It depends upon the Roman congregation for religious life (The Congregation for Institutes of Consecrated Life and Societies of Apostolic Life), and the community superiors maintain regular contact with that congregation. How is the community organised? Today the community numbers 500 brothers (of which 270 are priests) from 35 different nationalities. There are 100 brothers in formation, of which 30 are novices. The brothers live in 55 priories spread over more than 30 countries on 5 continents. The priories are grouped together into vicariates according to their geographical location (Africa, Asia, the Americas, Northern Europe, Northern France, etc.). There are 9 vicariates in total. Each vicariate comes under the responsibility of the regional vicar, who represents the Prior General. 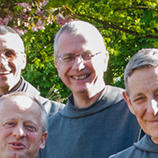 The regional vicars are chosen by the Prior General from among the members of his council, who are elected by the General Chapter. The most recent priory to be founded is in Kara, Togo, in 2016. See the map of our priories. See the map of our priories. 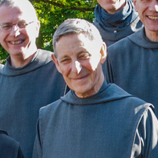 The Prior General governs with the help of his council, composed of the Master of Studies and 12 members from among whom he chooses the regional vicars. The General Chapter is a gathering of around forty members of the community, elected by their fellow brothers, who come together every three years to address the major concerns of the community, to enact the constitutions and to elect the community’s principal authorities. It is preceded by regional Chapters at which the Prior General meets with the brothers of a particular region (vicariate). In the priories, the professed brothers elect their prior for a term of three years, the renewal of which is limited. Normally, priories are made up of around 5 to 10 brothers, of which at least 4 are perpetually professed. How are brothers assigned to priories? A brother is allocated to a priory by the Prior General according to the needs of the life and mission of the brothers in a particular priory and according to the capacities and, as far as possible, the hopes of the brother in question. The decision is then taken following dialogue between the brother and his superiors. Brothers are usually assigned to a priory for a minimum of three years, and no limit is set to its duration.